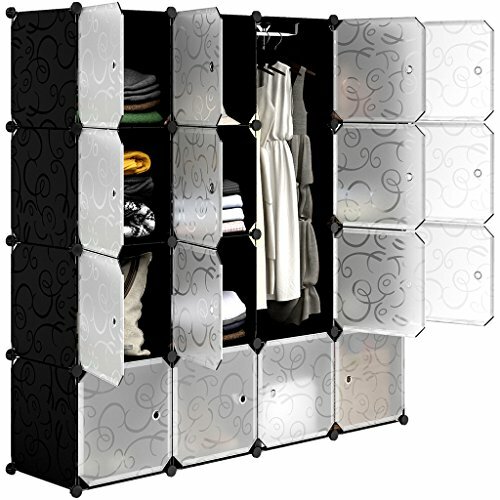 this 16-multiposition cubes organizing closet is perfect for a modern home. You could either build the cubes together to form an entire closet, or separate them into a couple of matching shelving units. This is a perfect idea for rooms with a smaller surface, combine the panels depending on your needs and thanks to its light color, it will create an optical effect that will make a small room seem bigger than it actually is!